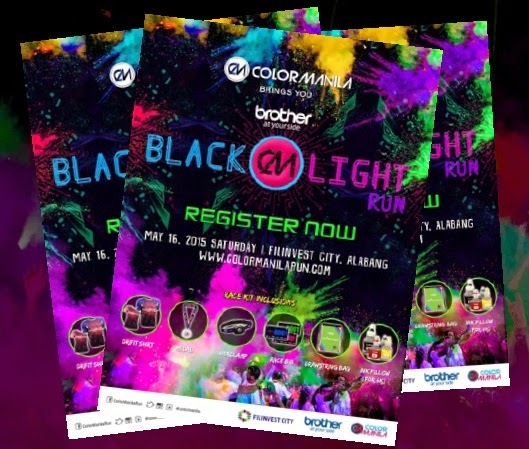 Calling all runner enthusiasts, save the date for COLOR MANILA NITE RUN: BLACK LIGHT Edition happening on May 16, 2015 in Filinvest, Alabang. 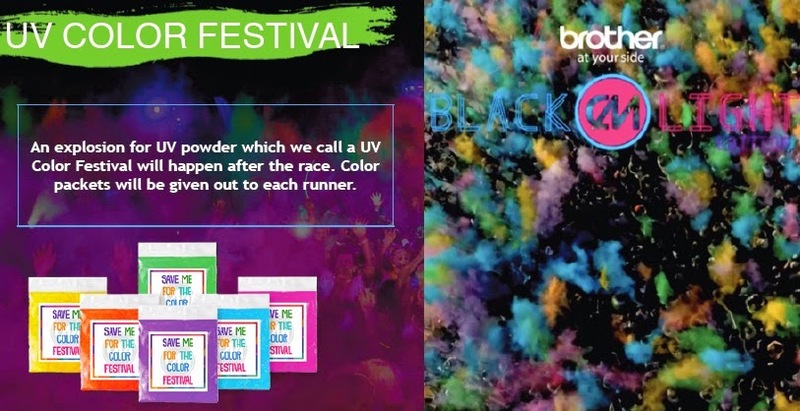 Color Manila promises another color crazy event after the recently concluded Watsons-ColorManila Challenge. 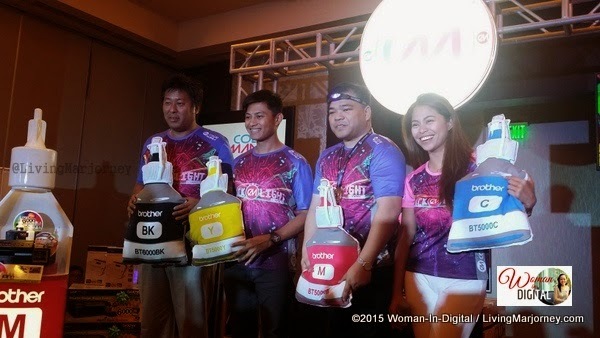 In partnership with Brother Philippines, one of the biggest multinational companies in the country which just successfully launched its newest printer with ink refillable system. 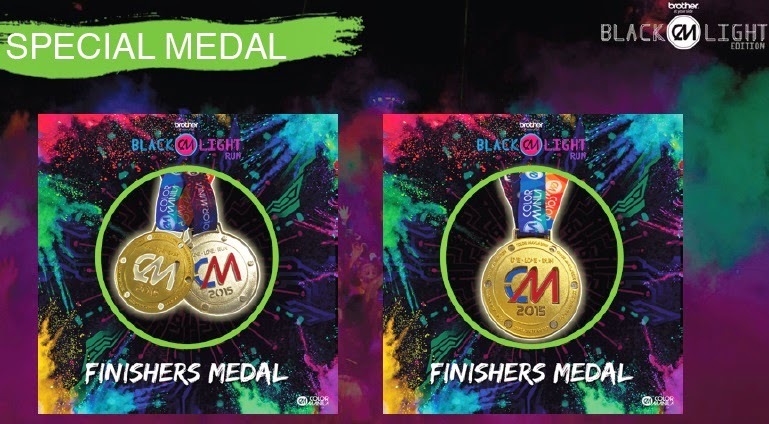 Take a look at the gorgeous race kits runners will receive. 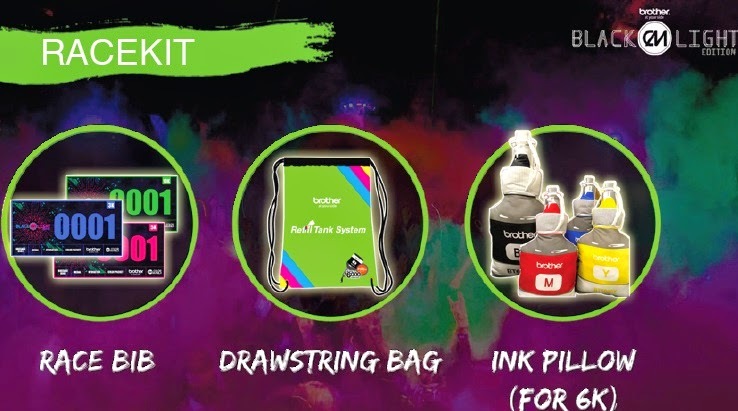 Each participant gets his/her own blacklight headlamp, a gorgeous dri-FIT shirt, a race bib, a drawstring bag and an ink pillow from Brother Philippines. Registration fee for all distances of 3K, 6K and 10K is at P850. 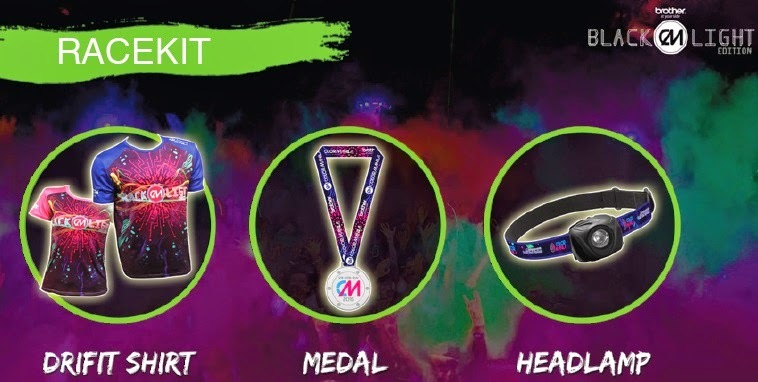 Not only that, a finisher’s medal and everyone will enjoy an after party, UV Color Festival! And by “party” Color Manila means “a bunch of happy, supersonic, neon-colored balls of energy dancing while singing”.